My blog output will remain low for awhile because I’m doing a lot of writing. Just not blog writing. I hope within two years to publish a manuscript that will reflect my life’s work beyond just the focus on the European Union and Germany that has been my research specialization. It involves information far outside my discipline, connecting with history, psychology, philosophy, religion, and economics. The argument is rather straight forward. Western enlightenment thought, while enabling massive material prosperity and progress, has a dark side. The West has also given us colonialism, destruction of cultures across the globe, environmental crises, the holocaust, communism, fascism, WWI and WWII, social darwinism, and nuclear weapons. There has never been a civilization as destructive, violent…yet progressive and successful…as the West. The era of globalization will challenge western dominance, and if we don’t change how we think about the world, the “dark side” of the enlightenment will doom us to crisis and even collapse in the coming century. So the research I’m doing has to deal with questions like – what is the “West” and how can we speak of “Western” civilization? What are the roots of how we think about the world, meaning to trace the development of western thought through its history really from Roman times, but definitely through the era from 1300 to the present, with a strong focus on how enlightenment values took root. Beyond that, I have to demonstrate how globalization is changing the nature of politics. For instance, most economic theory is based on state policies. The globalization of international capital makes traditional economic policy theory if not obsolete, at least in need of considerable reform. Connecting to the earlier argument, I make a case that unless we change how we think and act in the West, globalization means crises and perhaps collapse. From there, working through what it is about this culture that has such a Jekyll and Hyde nature, I turn to the EU and ask whether the development of the EU in Europe – the place that give us the most violence in the early 20th Century – is a sign of how we could progress. This involves looking at the EU in historic, institutional and theoretical contexts, with an eye on the thinking behind it. Then I’ll attempt to bring it all together. First, look at Eastern intellectual traditions, spiritual thought, and other ways of thinking out there that could be useful to consider. Then using the EU as a pragmatic starting point (they’ve started the journey to a new organization and way of thinking, even if it’s only been baby steps) start to chart how there might be a path forward, donning first a new way of conceptualizing politics and the world. The key is to show what the “new thinking” might look like, how it practically can manifest itself, and why it would lead to a more successful future. I’ll still blog – maybe about that writing, or if an issue comes up that I feel I need to write something about. For a break I might do something fun and continue my Quantum Life series now and then. But if you’re wondering why my output is down, well, I’m throwing myself into a project I believe in! “But no president in our nation’s history has ever been castigated, condemned, mocked, insulted, derided, and degraded on a scale even close to the constantly ugly attacks on President Obama. From the day he assumed office — indeed, even before he assumed office — he was subjected to unprecedented insults in often the most hateful terms. President Obama has been a successful President by almost every measure. The economy has moved from the deepest point in the recession to sustained job growth. He has legislative triumphs, foreign policy success, and a relatively scandal-free Presidency. He was elected twice by relatively large margins. Yes, his party lost the midterms twice, but this last time had voting turn out at only 36%, meaning probably about 19% voted for the Republicans, hardly enough to counter his victories with a much larger turnout. That doesn’t mean there isn’t reason to criticize him. The right certainly disagrees with him on many issues, and the left has been frustrated by his centrism unwillingness to really push on liberal causes. That goes with the territory of being a pragmatic centrist. But given the clear racial divide still existing in the US, evidenced by the reaction to numerous cases of unarmed blacks being killed by police with no legal consequence, I believe the response to Obama is motivated in part by enduring racism. Although nothing in reality supports it, the far right has created a caricature of Obama to ridicule and demean him. That charge generates yelps of indignant “how dare you call me a racist” from Obama foes. No. You aren’t a racist if you oppose Obama. People left and right will oppose the “other side” all the time – that isn’t racism. 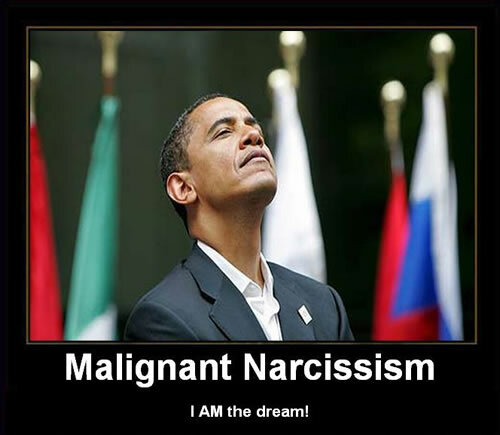 What is racist is the way in which some critics of Obama attack his person, trying to denigrate the man, making it seem like he is unfit for the position he holds. The causes of this are complex. To some it’s not overtly race, at least consciously. They see Obama as “different.” He’s not the kind of person we usually see as President. Not the wood splitting cowboy Ronald Reagan, or even the good old boy Bill Clinton. He’s urbane, intelligent, cosmopolitan, and doesn’t seem the type who would split wood or go to the corner bar to scream at the screen while watching football on a Sunday afternoon. He’s also not a wealthy, respected businessman like Mitt Romney, nor is he even the southern moralist former Navy submarine commander like Jimmy Carter. He’s different. He’s black – but that isn’t all of it. It is, however, part of it. Obama symbolizes the changing nature of US politics and demographics. The future will have more Obamas and less Reagans. White males no longer determine who leads the country, or who sets its values. And just as many whites fear the rage from inner city youth and who thus try to blame the media and so-called ‘race baiters’ for the protests, they also fear the America that Obama symbolizes. 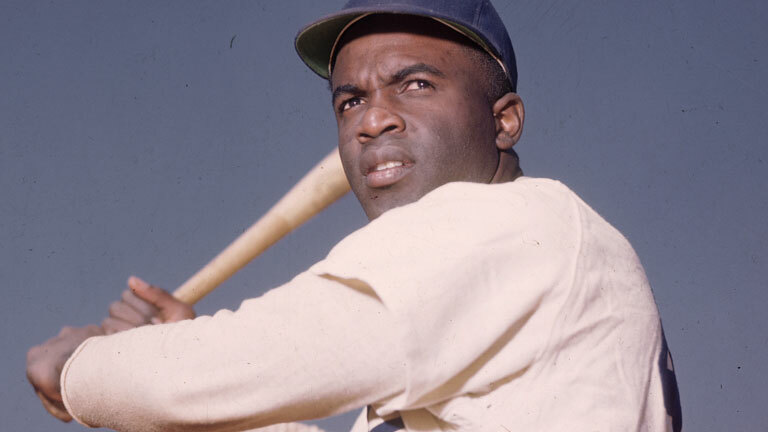 Robinson had to endure massive abuse, but baseball was never the same afterwards. 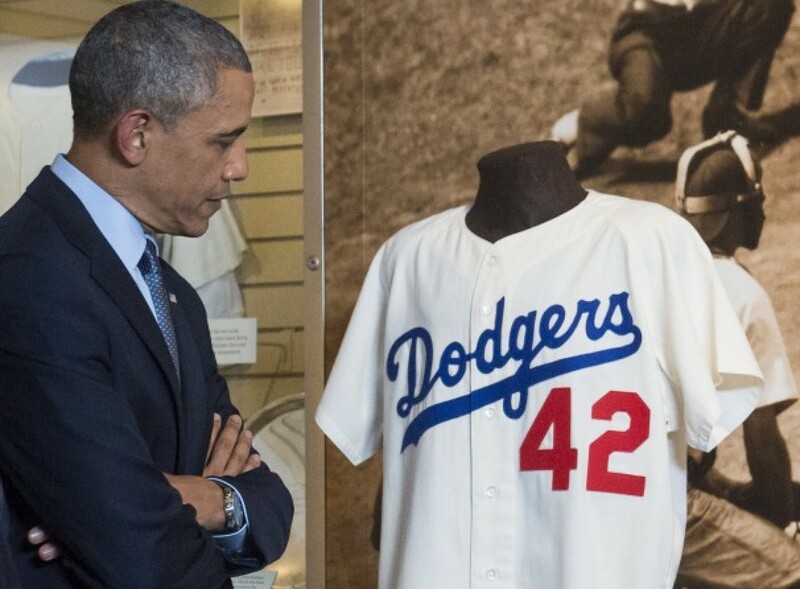 In many ways, Obama is like Jackie Robinson, the man who broke the color barrier in baseball. He is doing a good job, but subject to unprecedented hate, vitriol and ridicule. He cannot respond in kind – that would be to play into the low level gutter politics of his opponents. He just has to do his job and let history make the call. And he is doing it very well.